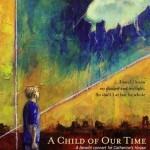 Presenting selections from Michael Tippett’s A Child of Our Time, an impassioned protest against persecution and tyranny that includes African-American spirituals. 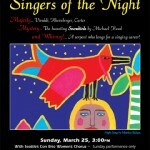 WomenSing will also perform Ron Jeffers’ powerful Indian Singing based on poetry by Gail Tremblay rooted in the Native American experience, a piece they will compete with at the International Music Festival in Cantonigros, Spain this coming summer. The expressive power of song when days unwind and night unfolds…. Vivaldi’s Beatus Vir with string quartet, Spanish Renaissance music,19th century Rheinberger, to the contemporary Andrew Carter settings of William Blake poetry. The centerpiece is Michael Head’s haunting Snowbirds, for baritone solo and women’s chorus, with poetry by the mystic Sri Ananda Acharya. And for the unexpected… we have a serpent that longs for a singing career! 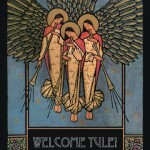 Welcome Yule with William Mathias’s Salvator Mundi, a collection of old English Christmas carols, movements from Andrew Carter’s Missa Brevis, settings of Song of Solomon texts; a set of pieces with birds and beasts as protagonists. Be prepared for the unexpected!